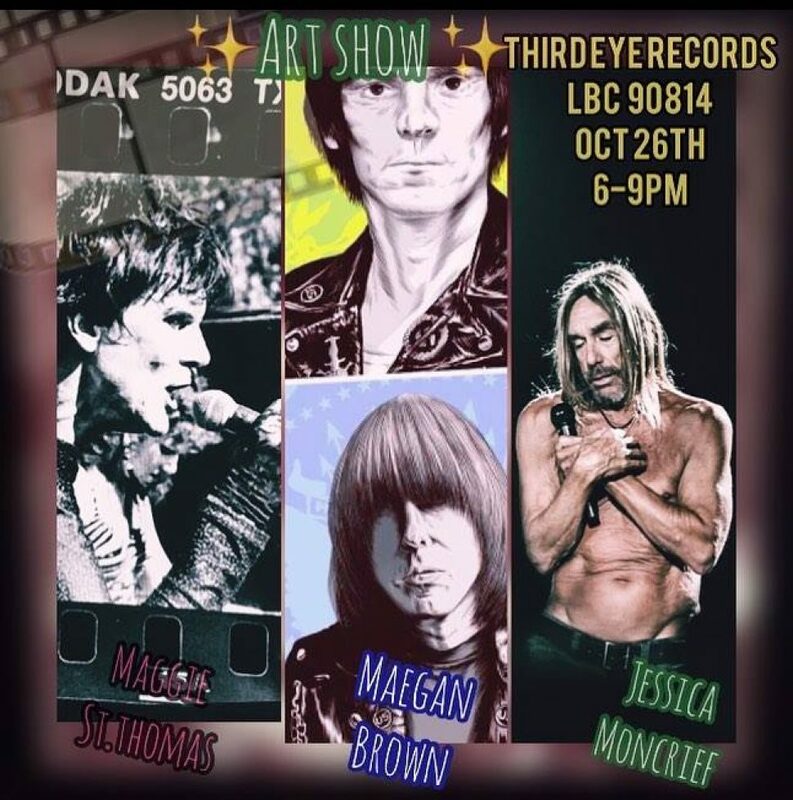 This Friday head on over to Third Eye Records for a one-night-only punk rock art show featuring works by Maggie St. Thomas, Maegan Brown and Jessica Moncrief. Enter a Haunted Atlantis at the aquarium, check out a punk rock photo exhibit, take a historical cemetery tour and more this weekend in Long Beach. This Friday head on over to Third Eye Records for a one-night-only art show featuring punk rock artworks by Maggie St. Thomas, Maegan Brown and Jessica Moncrief. And it’s not just photography, you can also pick up T-shirts, posters, patches, records, the list goes on. Seriously, custom cigar boxes, paintings … Sip on a cold brew from The Coffee Situation, support the arts and visit this local record store. The show runs from 6 to 9 p.m. For more info, visit the event page here. Third Eye Records is located at 2234 E. 4th St. Image from Long Beach Shakespeare Company. The radio dramatization that supposedly caused a nationwide panic in 1938, Orson Welles’ War of the Worlds, will be presented by the Long Beach Shakespeare Company beginning Friday. Planetary Radio host Mat Kaplan will also be giving a multimedia update on space-related happenings for two of the performances. 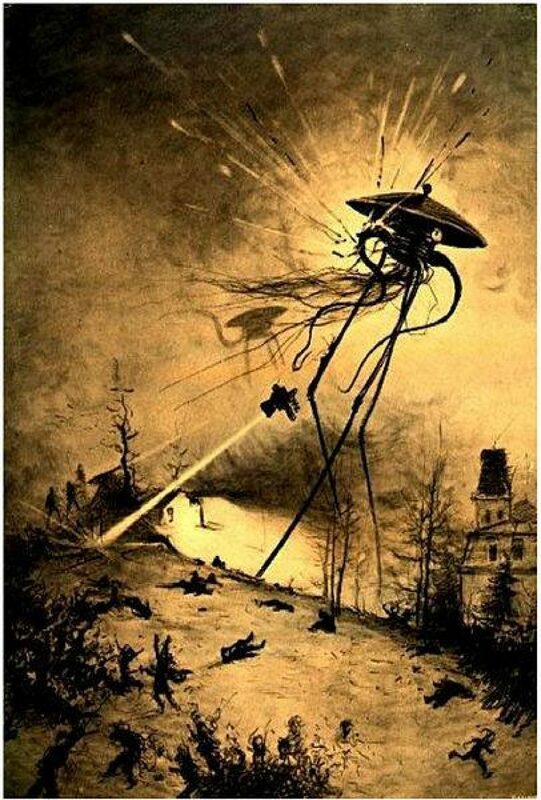 War of the Worlds will be performed Friday and Saturday at 8 p.m. and Sunday at 2 p.m. For tickets and more info, visit the event page here. 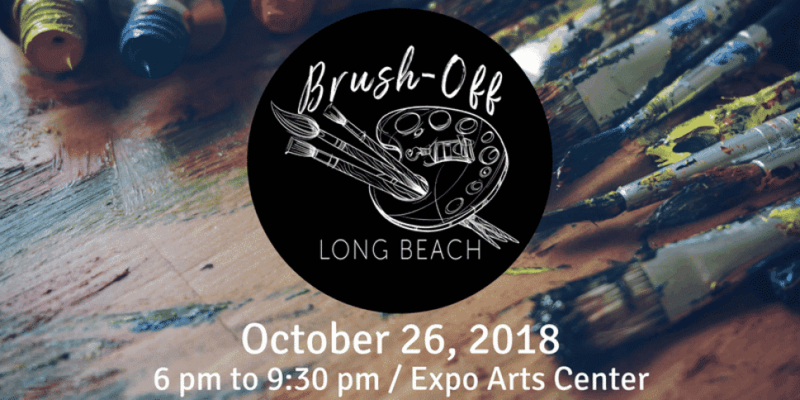 LBSC is located at 4250 Atlantic Ave.
Support the Boys & Girls Club of Long Beach by purchasing a ticket to this painting competition taking place on Friday. During three timed rounds, local artists will paint for 30 minutes, then the audience will determine who gets to move on to the next round. The work produced will later be available during a silent auction, of which a portion of the proceeds will also go toward the Boys & Girls Club. Expect refreshments and entertainment. The event runs from 6 to 9:30 p.m. For tickets and more info, visit the eventbrite page here. Expo Arts Center is located at 4321 Atlantic Ave. The Historical Society of Long Beach’s annual living history tour of the city’s two oldest cemeteries is as much entertaining as it is educational, with actors standing graveside to tell the tales of those resting six feet under. Learn the story of Captain Alberto de Ruiz, the first Latino graduate of the Naval Academy at Annapolis, the work of Cora Morgan, who advocated for a woman’s right to vote, the journey of Abram and Amanda Cleag, who were born into slavery and found their way to Long Beach after emancipation, and several more who shaped the city into what it is today. Performances take place at 9 a.m. and 2:40 p.m.; arrive at noon to see all the attractions. For tickets and more info, visit the link here. You can also purchase tickets at the gate. 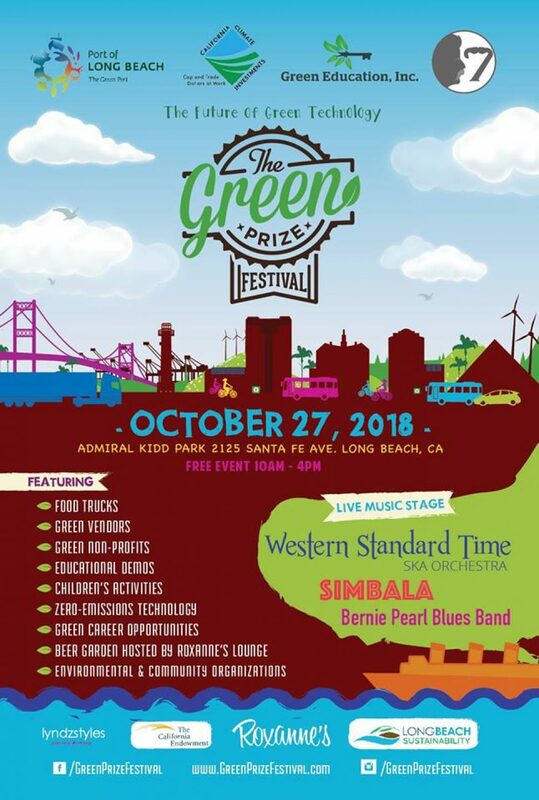 Long Beach Municipal and Sunnyside Cemeteries are located at 1151 and 1095 E. Willow St.
With this year’s theme as “The Future of Green Technology”, festival-goers on Saturday can learn about zero-emissions technology at the Port of Long Beach as well as advancements in green building, renewable energy and water conservation. Grab a drink at Roxanne’s beer garden while you’re there, eat from one of the food trucks on site and listen to local band Simbala. The festival takes place from 10 a.m. to 4 p.m. For more info, visit the event page here. Admiral Kidd Park is located at 2125 Santa Fe Ave. 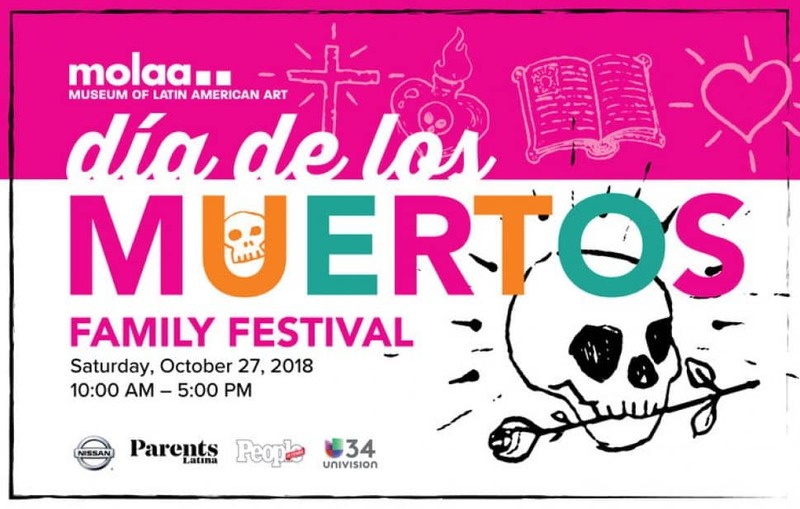 Celebrate the deceased on Saturday during the Museum of Latin American Art’s Dia de los Muertos festival, offering up the food, drinks and activities the dead enjoyed while alive. Decorate sugar skulls, delight in an Aztec Dancers performance, make a mask, take a tour of the galleries and so much more. The festival takes place from 10 a.m. to 5 p.m. For more info and the full schedule of events, visit the website here. 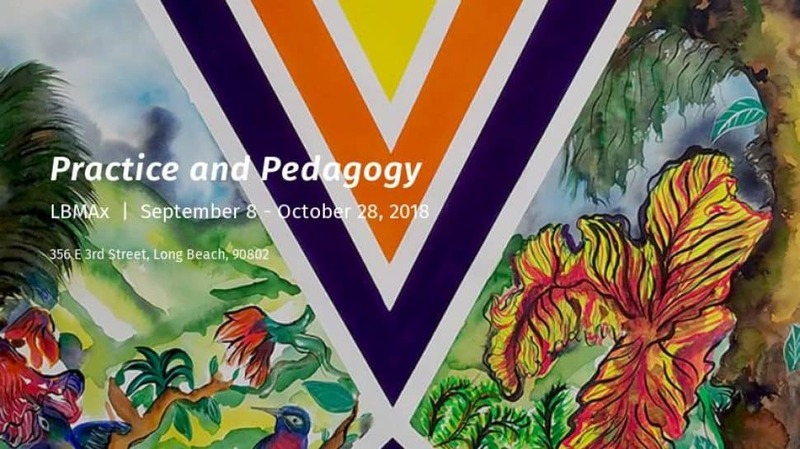 MOLAA is located at 628 Alamitos Ave.
Meet the artists of Practice and Pedagogy, the current exhibit at LBMAx on view through Saturday during this panel discussion on the same day (also in celebration of the closing). Check out the mixed-media works of 10 Long Beach City College faculty during the show’s last day and hear the artists speak about their practice. The panel discussion will take place from 5 to 6:30 p.m. For more info, check out the event page here and learn more about the group exhibition here. LBMAx is located at 356 E. 3rd St. Built Quilt by artist Troy Murrah opens Saturday at neighborhood watering hole 4th St. Vine. 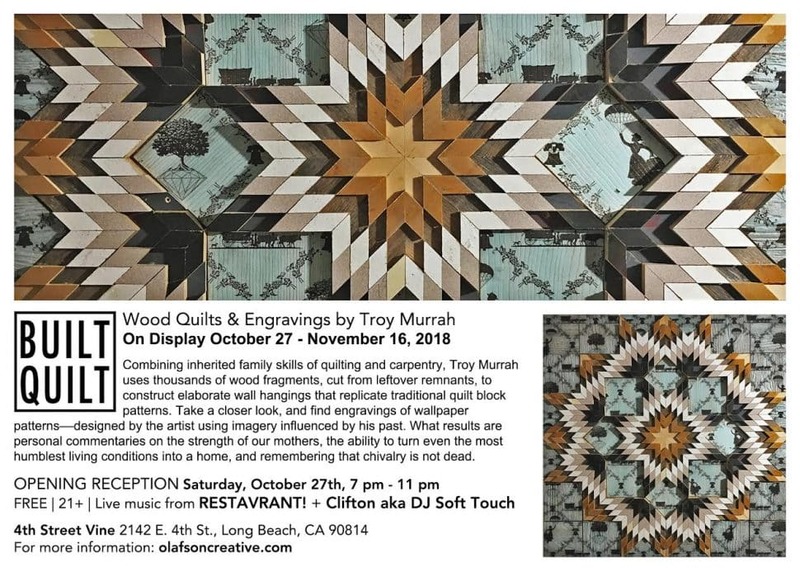 Made up of pieces of leftover wood found at construction sites and taken from thrown-out cabinetry left outside, these elaborate wall hangings are a must see and resemble traditional quilt block patterns. Murrah’s band, Restavrant!, will also be performing alongside DJ Soft Touch. The opening reception takes place from 7 to 11 p.m. Built Quilt will be on view through Nov. 16. Learn more about the artist and exhibit here. 4th St. Vine is located at 2142 E. 4th St.
Sacred Roots Holistic Healing, founded six years ago by a group of three women intent on creating a space for alternative health and healing, is hosting a free art show, vegetarian potluck, fire ceremony and costume party wrapped all into one event this Sunday. 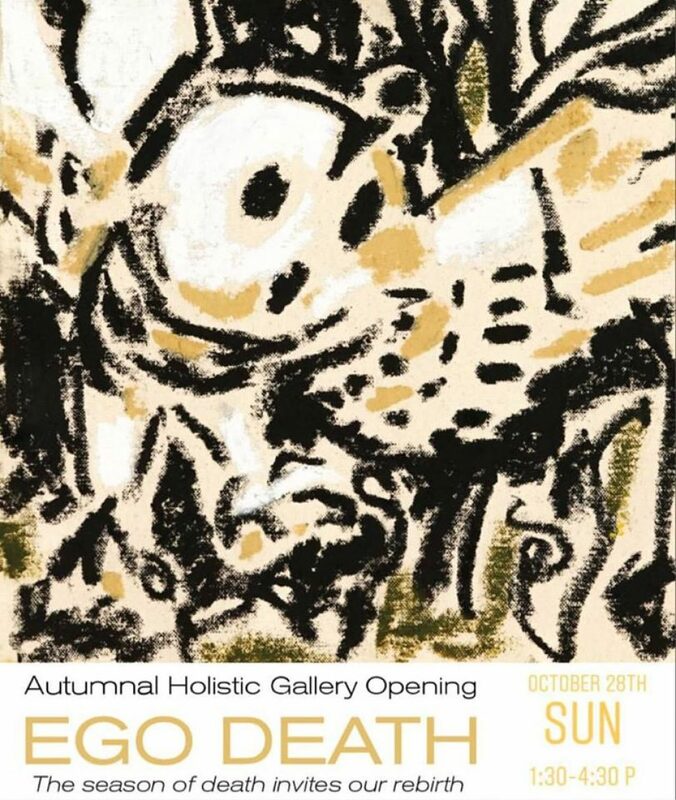 Check out the art, enjoy the company, and let go of your ego. The opening runs from 1:30 to 4:30 p.m. More info can be found here. Sacred Roots Holistic Healing is located at 2841 E. Broadway. Photo from the Aquarium of the Pacific. 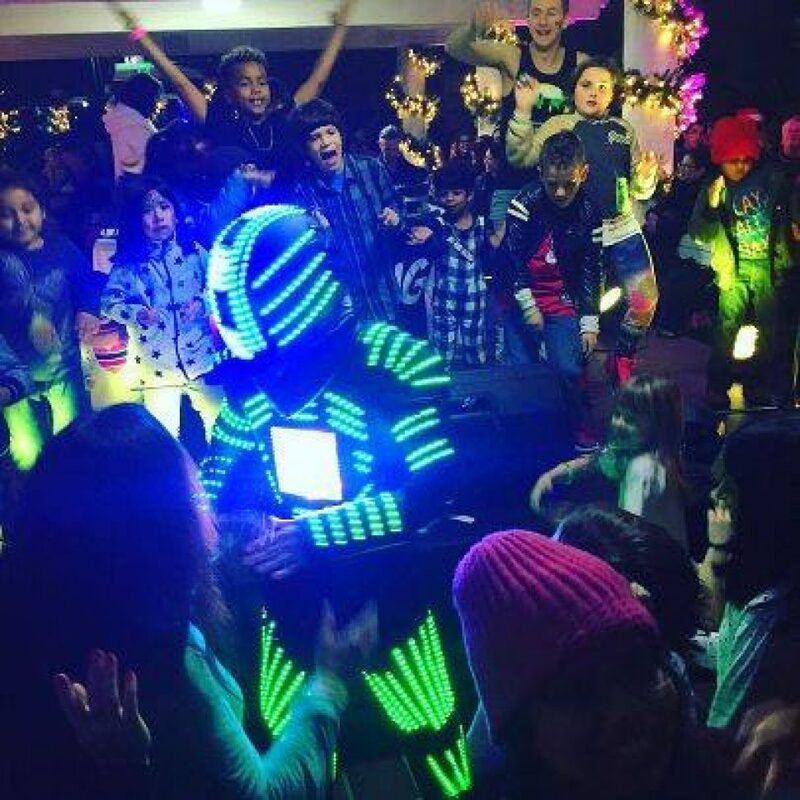 This Halloween dance party will be held at the Aquarium of the Pacific for kids 18 and under and their families on Sunday night, and is presented in partnership with Kids Dance Society. Expect live performances, stilt walkers, a photo booth, drinks and snacks for the parents and more. All the exhibits will be open except the Lorikeet Forest. The dance party is from 6:30 to 9 p.m. For tickets and more info, visit the event page here. The aquarium is located at 100 Aquarium Way.